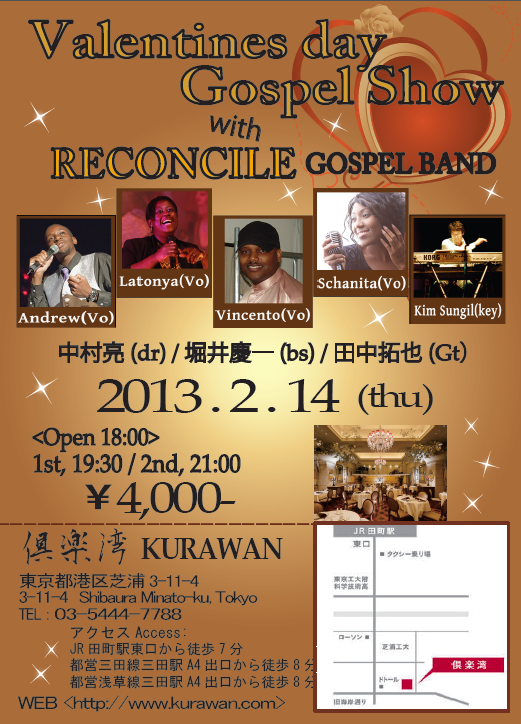 LaTonya will be singing with Reconciled Gospel Band on Valentine's Day. 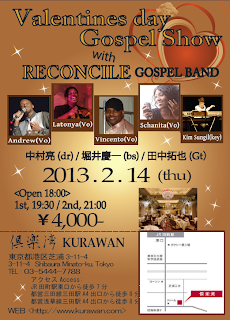 The event will take place at Kurawan in Shibuya. Check the flyer for more information!